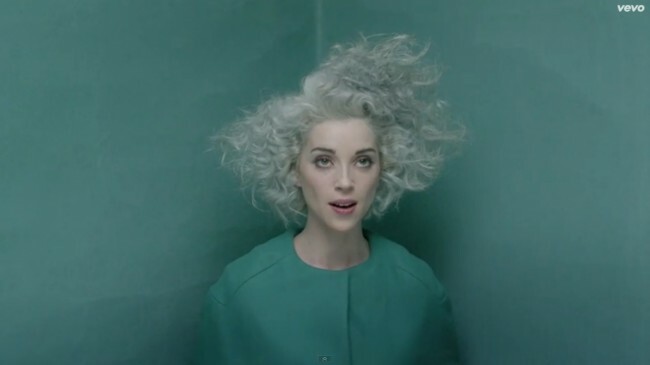 Why it was just the other day we were remarking how St. Vincent had made good progress in humanizing her replicant se’f (see her sweet soccer-kick instruction video at bottom). Now comes the video for Digital Witness, the first official video from her impending self-titled LP (due out on Feb. 25 via Loma Vista). 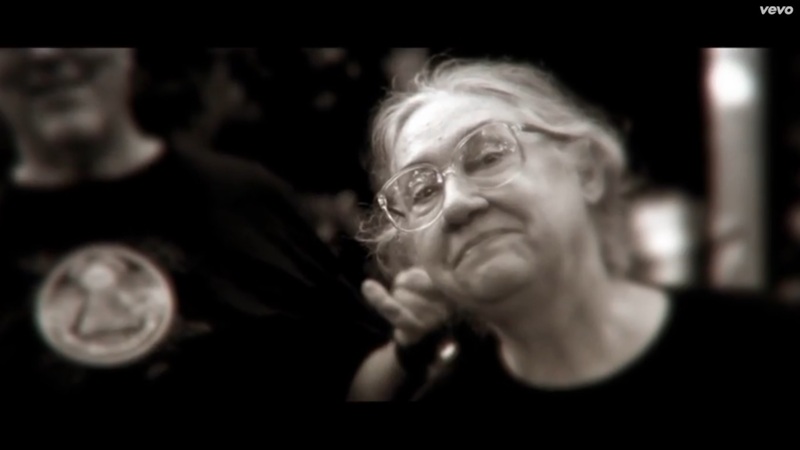 As you will see, in the video Automaton Annie (Clark) returns to her robotic ways. Having said that, we like the influence of David Byrne (her ongoing collaborationist) on St. Vincent’s music and hair. The song grabbed us immediately with its Talking Heads meets Eleanor Friedberger melange. You can pre-order St. Vincent HERE. Broken Bells (the Shins’ James Mercer and Danger Mouse) will soon release their second album After The Disco, and appeared on the Jimmy Kimmel Show last night in support. Watch below as the band first performs Holding On To Life. Check out the (intentional?) Bee Gees-esque chorus and the Arcade Fire-ish bridge on the song. The group also performed the title song After The Disco, in the process furthering our conspiracy-theory that the new album is conceptually about the Bee Gees and the disco era which they wrought. Lived through that, and alive to tell–can still smell the cologne clouds and feel the slimy polyester. Movin’ on, people. If you want to hear the entire new album it is streaming this week HERE. 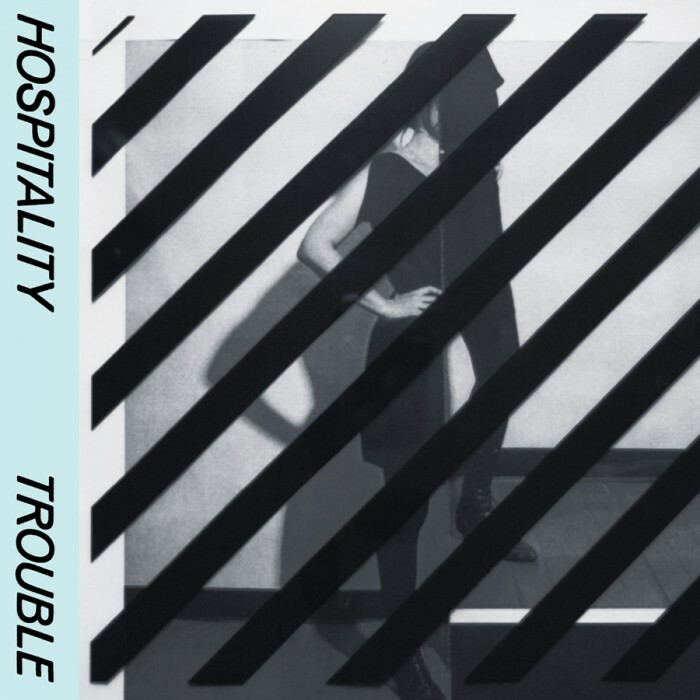 We’ve been hospitable to NYC band Hospitality on these pages for a couple of years, and in June 2012 managed to catch their compelling opening set (for Electric Guest) at Velvet Jones amidst an inhospitably small crowd. A shame. Today the band has released its second album, Trouble, on Merge Records. 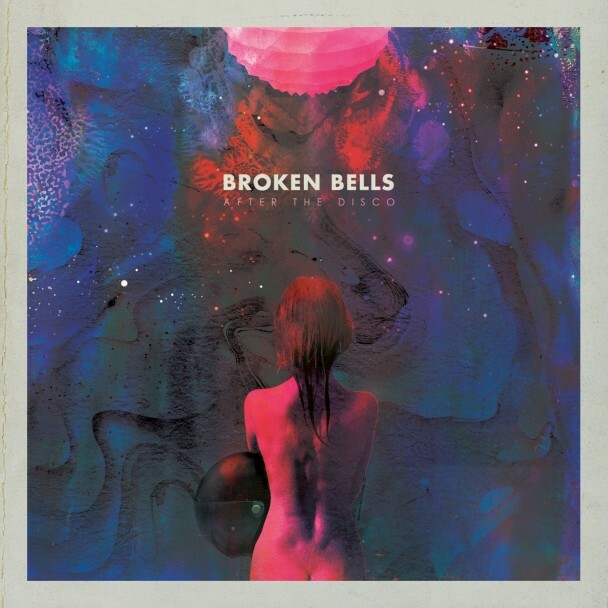 Coincidentally, the band has also released (via Stereogum) their official video for new track Going Out (featuring none other than indie-hall-of-famers Dean Wareham and Britta Phillips). While the video is enjoyable, the song and its sultry groove are the stars of the production (and particularly when it takes flight at the 2:39 mark). Watch/listen below. You can also go HERE to stream and buy Trouble. We like what we hear. We are still processing the music and art of female British artist FKA twigs. The video below has sped up the processing. Watch as Yours Truly captured FKA twigs singing her EP2 track Hide in a Mayan village (as a part of Brit-label Young Turks’ New Years’ show in Tulum, Mexico). This much we know so far about FKA twigs: we love the spare instrumentation and inventive percussion on the tracks we’ve heard, not to mention the cutting-edge (if somewhat bizarre) official videos for her songs. And courtesy of this live performance we now know that the artist has a beautiful voice (sounding somewhat Feist-ian here). To get more of a feel (after the live performance) check out last year’s crazy-effects video for song Water Me at bottom. 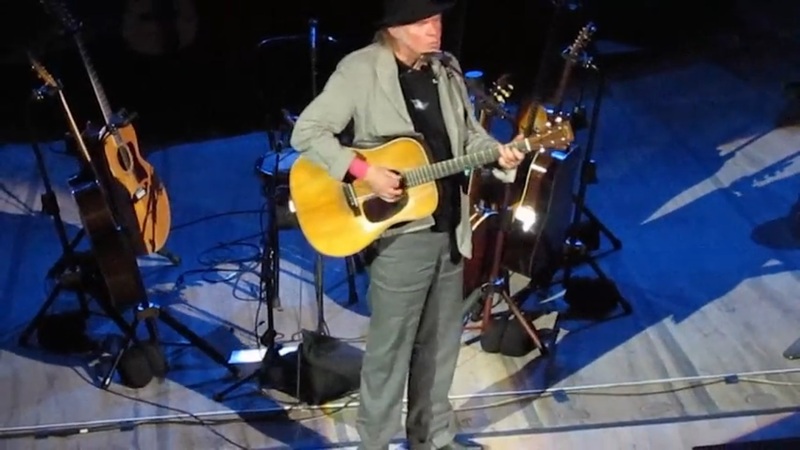 At last, Neil Young and his handlers have re-posted this beautiful hymn to God’s creation. We’ve recently been graced by some great offerings from Neil Young. Comes now a new video of Young performing his lovely lament Mother Earth at the last stop on his “Honour The Treaties” tour. 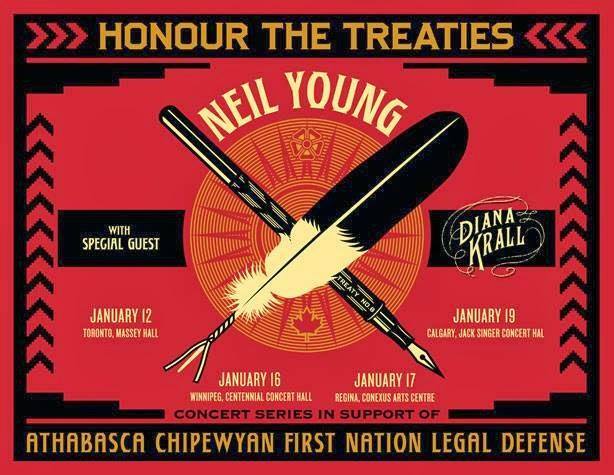 For more info on Honour The Treaties, go to Young’s site HERE. Of Montreal slammed into UCSB last Friday at The (dreaded) Hub and threw one of most enjoyable musical parties we’ve experienced in a long dang time (yes, better even than the Flaming Lips party at the Santa Barbara Bowl last fall). 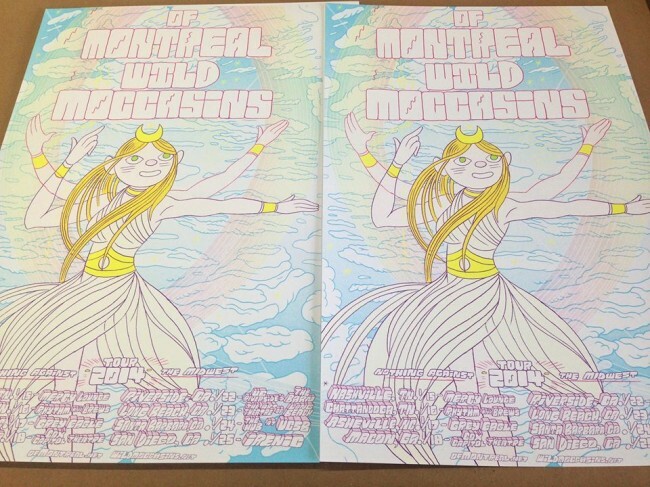 As with their discography, the sounds put out by Of Montreal live were all over the map, alternating between ferocious disco, Bowie-laced psychedelia, Prince-ly funk, raving rock, diva balladeering (from Ms. Cash), and Arcade Fire (in the process beating that band at their own Reflektor game). While the setlist was judiciously culled from their entire discography, a large number were from two of our favorite albums, the fan-favorite Hissing Fauna, Are You the Destroyer? and 2013’s fantastic, ever-growing Lousy With Sylvanbriar. Leader Kevin Barnes is not only one of our best songwriters and lyricists (his lyrical acumen and style reminding at times of the wordy Dan Bejar of Destroyer), he is also a phenomenal showman as witnessed by Barnes’ cajoling of the UCSB crowd at every turn. Barnes and his band of merrymen (and the very merry Rebecca Cash) tore the roof off the joint, aided and abetted by a high-energy, know-every-word-to-every-song crowd that by show’s end had come rightfully unhinged (with one crowd surfer going so far as to pull himself up into the rafters only to dive back into the crowd). The rest of the band provided perfect support to Barnes and Cash, with drummer Clayton Rychlik righteously rounding out the band’s three-part harmonization, but with bass, keys and guitar perfectly filling out the sound throughout. Highlights of their set included the triumphantly rocking Triumph of Disintegration, Fugitive Air, Gronlandic Edit, She’s A Rejecter and main-set closer The Past Is A Grotesque Animal (on which we heard for the first time Arcade Fire as that band aspired to be on Reflektor–this song must be heard live to be believed). Our only regret was that Of Montreal didn’t perform another of our favorites, Coquette, Coquette. The next time they come within 200 miles of you, cancel everything on the calendar and get thee to the party. Of Montreal is not to be missed on record or in concert. Speaking of great recordings and Lousy With Sylvanbriar, Of Montreal has just posted the new official video for one of that album’s best songs, She Ain’t Speaking Now. Check it out below, followed by the band’s currently scheduled tour dates. As we’ve mentioned, perhaps our most highly-anticipated album of 2014 is Elbow’s impending The Take Off and Landing of Everything, which will be released in March. Today the band has sent another salvo (following on the Fly Boy Blue/Lunette video) from the album with the official video for a new single entitled New York Morning. Watch this heartwarming vignette about Dennis and Lois, who started attending concerts together in 1975 and fell in love and befriended The Ramones (and each other) along the way. Oh, and the song is fab too. “That’s what I do with my money. Buy gas and go see bands.” Reminds me of somebody I once knew. It’s happening. We’re having one of those “situations.” Our favorite band is becoming many folks’ favorite band. Whatever. We couldn’t be happier for the deserving dudes from Cincinnati. The National have been justly nominated for a Grammy for their tremendous Trouble Will Find Me album, and that nomination has garnered the band deserved additional attention (hello?? what took so long world? ), including their appearance early this morning on CBS This Morning. Watch below as the band delivers stellar performances of Don’t Swallow the Cap and I Need My Girl, followed by the episode’s interview. We can’t wait to catch them again in LA on March 25th and in Berkeley at the Greek Theater on April 26th. As we’ve written repeatedly on these pages, one of the most talented artists on the scene for the last 15+ years is Damon Albarn (Blur, Gorillaz, The Good, the Bad & the Queen). 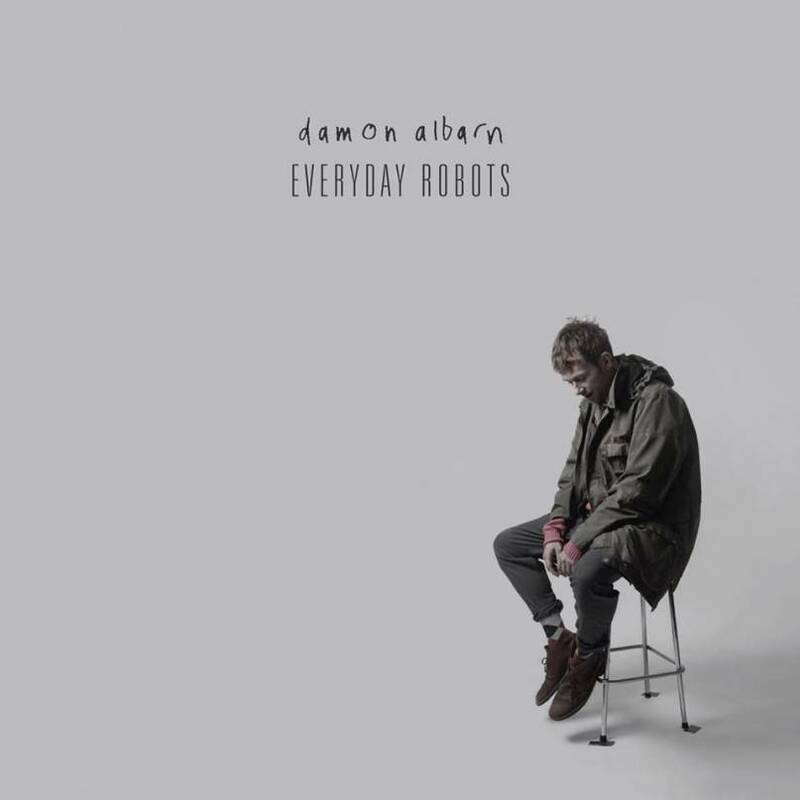 Comes now the great news that Albarn will release his debut solo album Everyday Robots on April 29th via Warner Brothers Records. Up until now, we’ve heard only the mesmerizing title track (listen/watch the video at bottom) from the album. But at the Sundance Film Festival this week Albarn performed five new songs from the album. One such song is Lonely Press Play, which you can watch Albarn perform below courtesy of a fan video (sorry for the songus interruptus). It’s a beauty, as aided and abetted live by a female string section. After watch the title track video and check out the album’s track list. Who knows how long this’ll remain up, but enjoy it while you can. 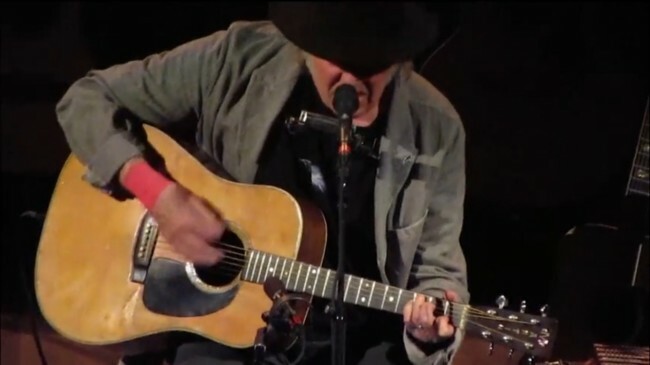 Watch below the entirety of Neil Young’s January 7th solo show at Carnegie Hall, as captured by fans and edited by ReeLife Productions. The master at work, solo. The setlist and video times follow the video. Superb performance and footage!